A Plug for our Perfectly Personable Purple People! On plenty of occasions in the past I have mentioned our remarkable Purple People – the embodiment of Nipperbout when we are in action at the events we attend throughout the year, both here in the UK and abroad. But who are the Purple People and what do they have to do in order to achieve that famed shirt? How did the term “Purple People” come about? As far back as 1992 I was already interested in the concept of gender neutrality. The Nipperbout logo was deliberately designed to be multi-gender – it is no mistake that the blue side has long hair and the pink side has short hair. At home I used to keep my son’s hair long and dress him in pink – I kept my daughter’s hair short and dressed her in jeans and t shirts to challenge social prejudices. At the time Nipperbout couldn’t afford a dual colour uniform so we came up with the idea of blending pink and blue to make purple – long before the LGBT community did the same thing! Our purple uniform was very distinctive back then – not many companies used purple, so we stood out. The children we worked with – our real customers – started to call us “The Purple People” and the term stuck. That term is now a copywritten trademark exclusive to Nipperbout which we protect very carefully. What is a Purple Person? 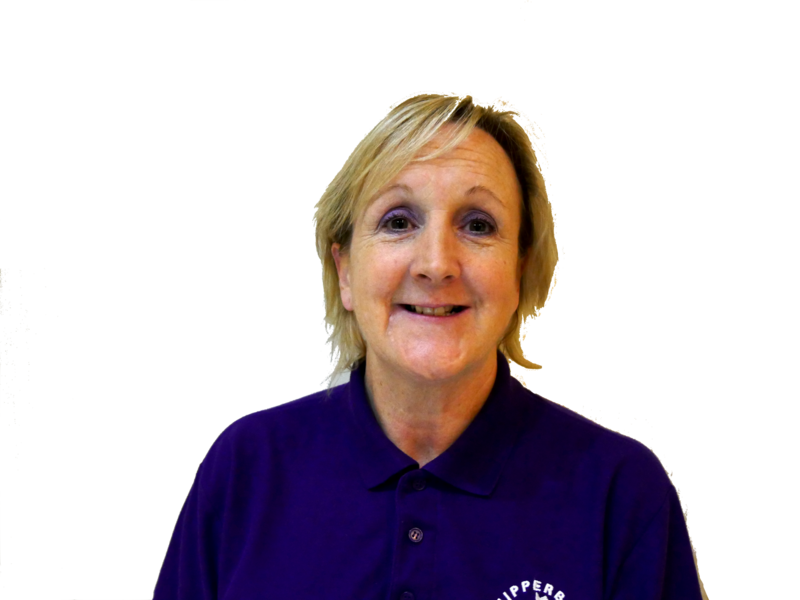 A Purple Person is a childcare professional who has passed a Nipperbout Induction, a three event trial of their abilities and then someone who commits to work their way through our own stages of training. There are 5 levels of this – each requiring specific courses and in-house training to be completed. Many people join us having already achieved Level 6 in Childcare provision – for us they have to then start at level 1 of what we call ‘The Nipperbout Stages’. Our training includes all the usual courses and our own accredited Lost Child training and a Nipperbout Behaviour Management course. Astonishing though it might seem, we’re introducing terrorism awareness training because we work in so many venues which are owned by or contain high profile clients which could be targets. A Purple Person has a unique set of qualities – and not everyone who joins us stays. We need hard working commitment individuals with a sense of fun and a passion for delivering quality childcare. Because of the nature of our business they also need to be inventive and think ‘out of the box’. Our type of temporary mobile childcare needs people who have plans B, C and D up their sleeves if plan A encounters difficulties! As an example of this: When the vehicle containing all our normal equipment was stuck on a snowbound motorway en route to it's destination venue, our experienced Purple Person who had independently managed to get there, ran through the normal and proper legal registration of all the children present, on a piece of paper he managed to find. He then commandeered some cardboard boxes from the venue’s kitchen and some marker pens from it's reception. After turning the boxes into play equipment (a car, a bank and a castle), he went on to run games and activity sessions and entertained the children for a full two hours before the van arrived. That’s a true Purple Person. It might sound obvious, but Purple People must be confident, outgoing, energetic and have the ability to build positive relationships with children quickly. They must love variety, be flexible, be able to work in a friendly team, collaborate with someone they don’t know well and sometimes even share camping in a tent depending on the event they’re attending! We look for people who have a strong sense of attention to detail in matters of health and safety and in the recording of everything! They also need to know their onions as far as EYFS is concerned. Most of all we prize an ability to be open to new ideas and different ways of doing things – that’s because Nipperbout is unique in how it provides services to the variety of venues and events it attends. We are not for everyone – some people are put off on their first day by our robust inductions – but they are robust by design. Our unique method of communicating with children is sometimes ‘scary’ for some professionals. We prefer to tell children what they can do rather than what they can’t. We avoid labels and try to change behaviour or encourage it by being clear and specific about how we want it to change or continue. Staff are expected to give feedback at the end of each day of an event, using our own bespoke feedback systems. Nipperbout deliberately uses many actors in it's Purple People team. They have specialist dance and drama training and an excellent work ethic. We have four NVQ assessors in the company and we collaborate with a training company so are able to put people through childcare qualifications if they wish. Purple People – a couple from the team! Caroline came to Nipperbout when we were working at the NEC in 1993 – she wanted to have a look around. I was as impressed by her as she was with us and at the end of the visit I invited her to join us. She has been working with us ever since and has been instrumental in helping us to develop effective procedures to move the business forward. Her skill at dealing with large teams of staff, organising groups of over 100 children, liaising with venues and all the while remaining cool calm and collected, is remarkable. She is an excellent manager, fair and firm – a real life Mary Poppins! Joining us in 1997, Barry’s first event was at a shoppers creche in Brent Cross. 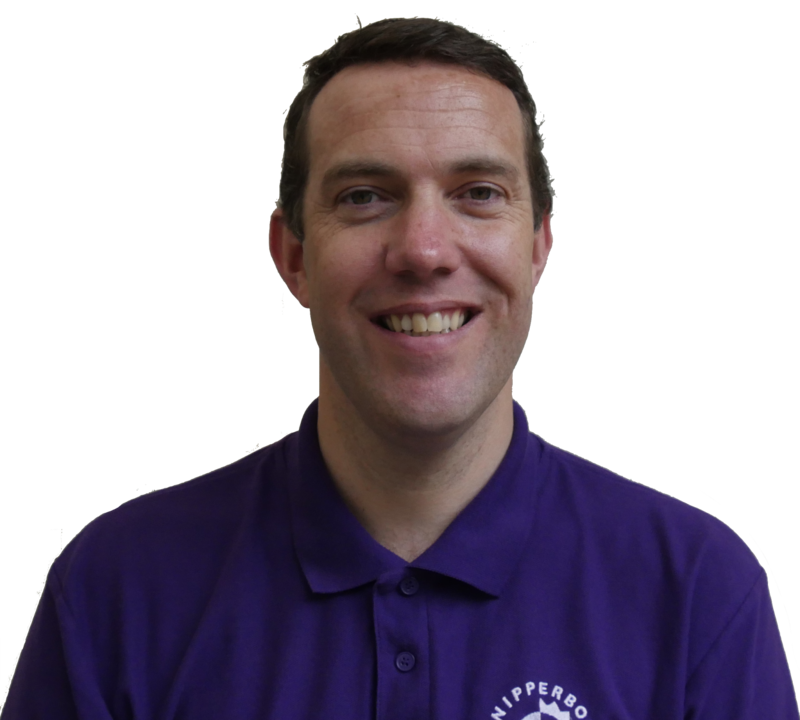 Versatile in drama, dance and music skills, he was an immediate hit with children and he soon became a regular Purple Person, delivering our in-house training in communication skills. Doing so in turn inspired Barry to train as a teacher and he is now a supply teacher able to supplement his successful Cambridge based acting company as well as supporting Nipperbout too. He is the creative PP who ran a creche when the van was stuck on the M1! Up until a short while ago our Purple People attended only Nipperbout-supported events – but such are their skills we’ve started to develop an agency service for event organisers. This means that they can have Purple People attend their events without needing to also take on the full Nipperbout package. These are the same fully childcare and safeguarding trained Purple People, all DBS cleared and most holding first aid certification. Excellent in delivering customer service and behaviour management! Please do get in touch via the Nipperbout website if you’re an event organiser and would like to know more. I am truly proud of our Purple People. They’re not just employees – they’re friends and ambassadors too. They’re rightly recognised for their high standards and personal values, and I don’t mean just by us. Such is their reputation that we have several events where Nipperbout have provided childcare for over 20 years. Children return year after year and meet up with friends – some of whom are the very Purple People taking care of them. Some former visitors return as workers, once they’ve gone on to college or university. They go through the same rigorous training and three job trial as any other new Purple Person – but they already know many of our procedures and ways of working from having been on the ‘other side’. This gives them great work experience, financial support whilst at Uni and we can provide them with a professional reference at the end. One young lady recently told me she had no idea of the amount of hard work and thought that goes on behind the scenes. She said “We just rocked up and had an amazing time – we had no idea there was so much involved!” It’s a great accolade because the children shouldn’t know – they should just be there and have a great time!